Here in Australia we have a well known ex-sportsman called Glenn McGrath. Glenn is promoting a carbon offset program via Landcare Australia. That’s great – using his profile to help a good cause. But here’s the thing – Glenn drives a Hummer. Yep, a Hummer. The gas guzzling, planet destroying monstrosity of a car. Glenn has no credibility to promote carbon offset programs. He doesn’t fit the program. He’s not authentic or credible in any way when he talks about carbon offsets because of this. He’s not ‘keeping it real’. 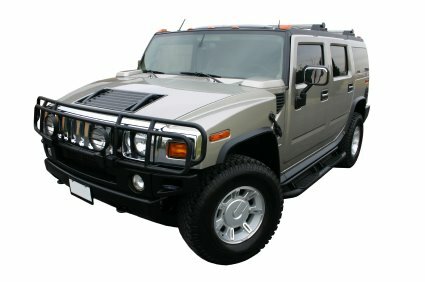 And it’s all because of perception – the Hummer is perceived as a gas guzzling, planet destroying car by many. I’m not sure if that’s entirely true, but that’s the perception. Guess what. We finished all 300 before we had finished 300 of other makes and models. The reason? The Hummers were _always_ available in the shop for us to work while undergoing other unscheduled maintenance. I’ve been driving nearly 50 years, have never seen a more poorly engineered and constructed vehicle … and that includes owning a Vauxhall saloon from the 1950’s complete with what Lucas laughing called an electrical system. What do we do with this piece of trash vehicle boss? “Put a huge price tag on it and sell it to celebrities”….. Amazing marketing, truly. My boss recently got one of the new Hummers as well. Apparently they don’t use any more fuel than any other four wheel drive.